Rapper Eminem apologizes to his mother Debbie Mathers for dissing her over the years in his songs. Eminem makes amend with his mother, Deborah "Debbie" Mathers, whom he dissed in previous songs like "Cleaning Out My Closet". In "Headlights" music video directed by Oscar-nominated Spike Lee, the Detroit rapper apologizes to her and thanks her for the sacrifices she made. 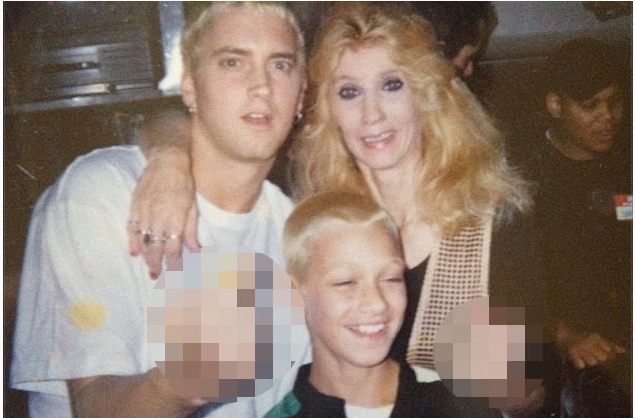 The clip was filmed through the eyes of Eminem's mother, starting with her watching his song on TV. Vintage pictures from his younger years were shown as she went through the family's photo album. She made attempts to visit him, only to get turned away by guards at his gated mansion. He raps, "I'm sorry, Mama, for 'Cleaning Out My Closet', at the time I was angry/ Rightfully maybe so, never meant that far to take it though/ 'cause now I know it's not your fault, and I'm not making jokes/ That song I no longer play at shows and I cringe every time it's on the radio." "I really love the narrative for what we've come up [with] together for 'Headlights'," Lee said of the video. "It's a great, great story. It's heartfelt, some pain in it, but that's life. So that's why we're here, back in the hood, 8 Mile Detroit, shooting where all this took place." The song featuring Fun. 's Nate Ruess singing the hook is included in Eminem's 2013 album "The Marshall Mathers LP 2". The music video premieres on Mother's Day.